Xavier, Evan, and their friends have typical lives until they enter a mysterious land called Ahoratos. 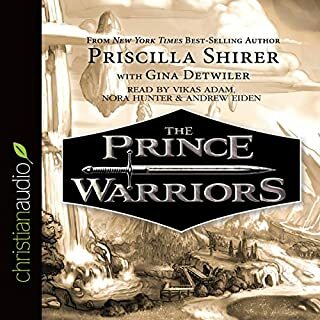 There they meet their guide, Ruwach, who offers wisdom and direction as the kids' initial adventure begins - an adventure filled with armor and danger and a very real enemy. I was previewing this for my kids. I LOVED the storyline, character development, and relatability of the characters. I think my kids will connect. The narration is good, but the sound effects in the background completely take away from a well written book. Tense portions are made a little chaotic with music and sounds that drown out narration. Hoping it changes in books 2-4. I absolutely LOVED playjng MMO games and fell for this series early. So clever and idea and wonderfully written in an engaging & accessible way. I was worried that “leveling up” would be boring, but even that is read well! I’d highly suggest this if you are familiar with the MMO RPG world. You’ll love it and be counting days to book 3! Time is running out for the Peculiar Children. 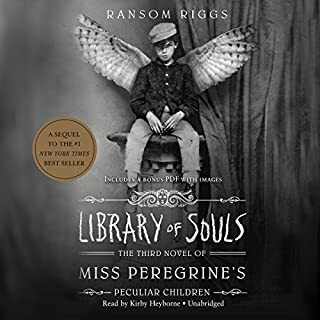 With a dangerous madman on the loose and their beloved Miss Peregrine still in danger, Jacob Portman and Emma Bloom are forced to stage the most daring of rescue missions. They'll travel through a war-torn landscape, meet new allies, and face greater dangers than ever. Will Jacob come into his own as the hero his fellow Peculiars know him to be? 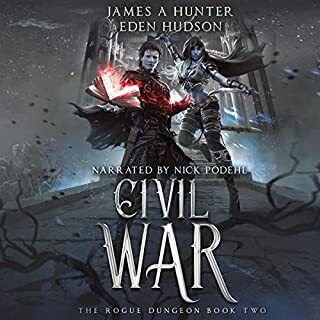 Where does Library of Souls rank among all the audiobooks you’ve listened to so far? I'd put this near the middle of my library of books to listen to. Kirby Heyborne labors through this book (and the 2nd in the series) at a pace that's difficult to listen to. It's so slow and over dramatized... when he get's into a character who's excited, the yelling becomes overbearing and constantly adjusting the voluming becomes frustrating. 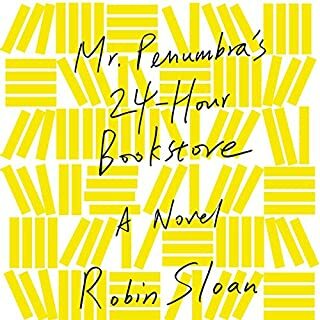 When I switched to listening at a 1.25X pace, the book became new and enjoyable. What was one of the most memorable moments of Library of Souls? Family tension always deepens a book, and Ransom does an amazing job of playing the dynamic tension up without going overboard. Sometimes you just need a simple read that makes you smile and wonder at the same time. I felt like this book did a amazing job of balancing the adventure and puzzles of a classic mystery with the humor and technology expected in novels today. Excellently read with wit and inflection at just the right times. 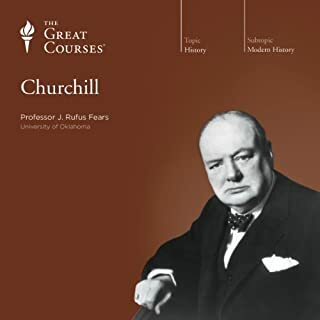 In these 12 inspiring lectures, Professor Fears presents a well-balanced portrait of Churchill that does not whitewash his flaws. Yet he also draws on the most recent historical scholarship and material from Churchill's writings and speeches to make the case that Churchill belongs with Pericles of Athens and Abraham Lincoln as one of the greatest statesmen in the history of democracy. Would you recommend Churchill to your friends? Why or why not? i would not recommend this course, i'd probably direct people towards a simple biography instead. passion about the subject you're teaching is always a plus. 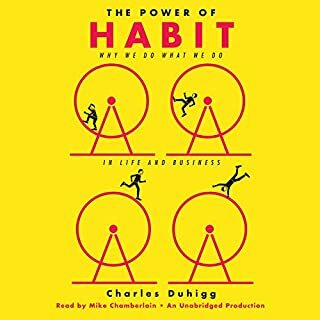 What did you love best about The Power of Habit? The multiple illustrations across so many facets of life makes this books super understandable, even though it's rich in content. The flow of this book is great. A thought is brought up and completed well with stories and scientific support. Have you listened to any of Mike Chamberlain’s other performances before? How does this one compare? I very much enjoyed listening to how little habits can influence big things, the little wins are bigger than we think. This was an amazingly written and well read book. I'd highly suggest it for anyone... whether they struggle with unwanted habits or are extremely self-disciplined, they'll enjoy the practical nature of this book both individually and in a social context.